One choice can destroy you. Veronica Roth's second #1 New York Times bestseller continues the dystopian thrill ride that began in Divergent. 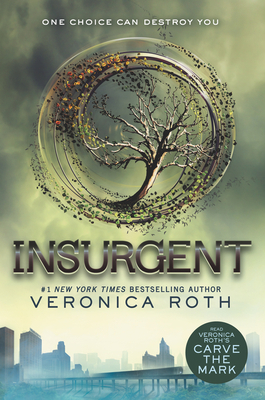 A hit with both teen and adult readers, Insurgent is the action-packed, emotional adventure that inspired the major motion picture starring Shailene Woodley, Theo James, Ansel Elgort, and Octavia Spencer. The paperback edition includes special bonus content by Veronica Roth. As war surges in the factions of dystopian Chicago all around her, Tris attempts to save those she loves—and herself—while grappling with haunting questions of grief and forgiveness, identity and loyalty, politics and love.